I generally make these paratha doughs with multigrain atta, veggies and masala that can be then made in a jiffy and can be great to eat as breakfast or lunch with the addition of a protein like dal or curd. These are a regular in my kids’ lunch boxes as well. Even if your children do not like veggies, this is a great way to help them eat their veggies with happiness. 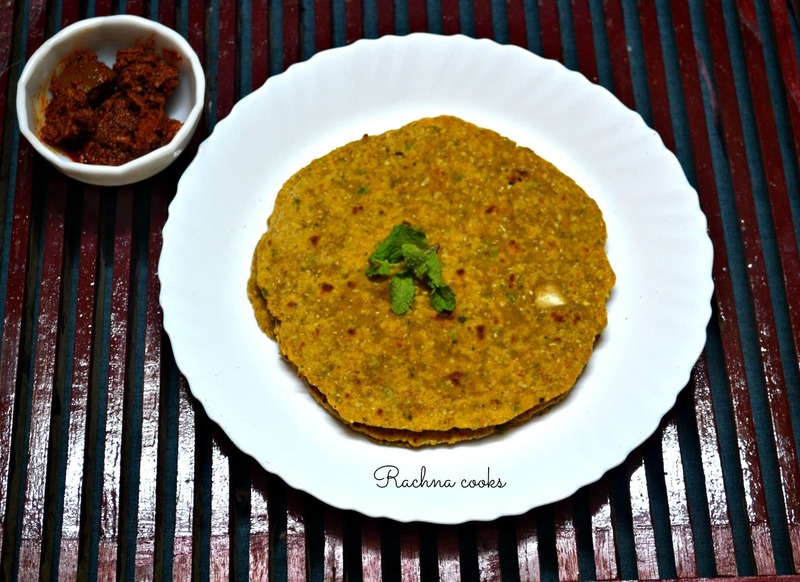 I’ve already shared the methi thepla recipe earlier. And, of course stuffed parathas like mooli parathas, aloo parathas and gobhi parathas are an all-time favourite. Mix all the flours together. Add in all the masala powders, ajwain seeds, salt, ginger garlic paste, coriander leaves and shredded cabbage and capsicum. Don’t add water just now. Try to form a dough by mixing all of these. Add oil. Now add a little water to help form dough. Form a stiff dough. Cover and keep aside for 15 minutes. Roll out a disc or paratha. Cook on both sides after smearing with ghee/oil. Your paratha is ready to serve. It is delicious just with pickle and curd. Or you could have it instead of roti with your meal. Try and let me know. This is a versatile recipe. You can add other veggies like shredded carrot, spinach etc. to this recipe. You can try out different flours as well. Add some shredded paneer/cottage cheese to make this even more nutritious. I have made cabbage and capsicum together in a subzi but never in a parantha. This combination in a parantha sounds interesting. It will add variety to the paranthas that I make at home. Thanks for sharing, Rachna! Capsicum gives me a migraine so I’ll make this with Cabbage and carrot maybe. I love making a variety of parathas as I’m not a big fan of rice. Will definitely be giving this a try. 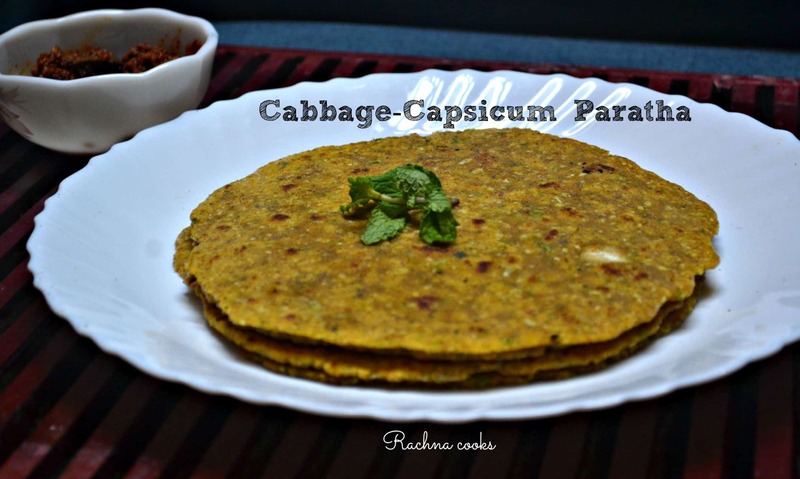 I love capsicum, it is my favorite vegetable 🙂 Must try making these delicious looking parathas, thanks for the recipe. I love this recipe and surely this can be tried. Of course, with Didi’s help ? Bookmarking this, Rachna! I’ve made cabbage and mooli paratha. Not tried capsicum though! This looks simple. Will try. Looks very delicious. I am guessing the water tip is because of the cabbage water content, right? I remember the same tip for mooli paratha that my mom told me about. Can definitely send this in dabba. Simpler to make in the morning instead of roti plus sabzi. this sounds and look so healthy and yummy. Wow… I wish I had your cooking skills. ?